It may not be Android Wear 2.0, but a few Moto 360 users on XDA and reddit over the past week have reported being prompted to download and install a firmware update. The update retains the software version of the older firmware, 4.4W.1, but bumps the Android Wear number up to 1.0.1.1448224 (previously 1.0.1.1387258) and the build number to KGW42R (previously KGW42N). So far, those who have installed the update are reporting better performance – most notably, more fluid and responsive Google Now cards – but no major changes to behavior or UI. Basically, it sounds like a bug-squashing and optimization release. The update seems to be rolling out gradually. 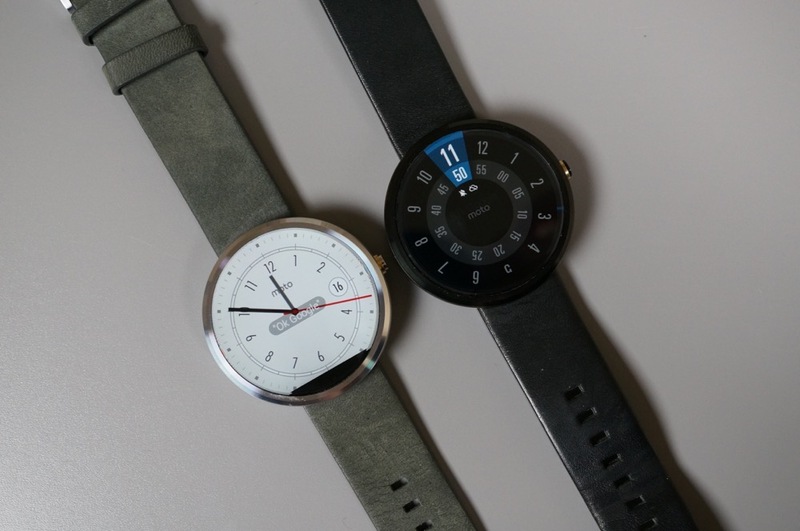 We have not tried this method and do not necessarily condone it, but one user successfully forced the update by resetting his Moto 360 and reinstalling Motorola Connect and the Android Wear app. Any Moto 360 users running the new software? The company says the update will continue to roll out in phases over the next few days.